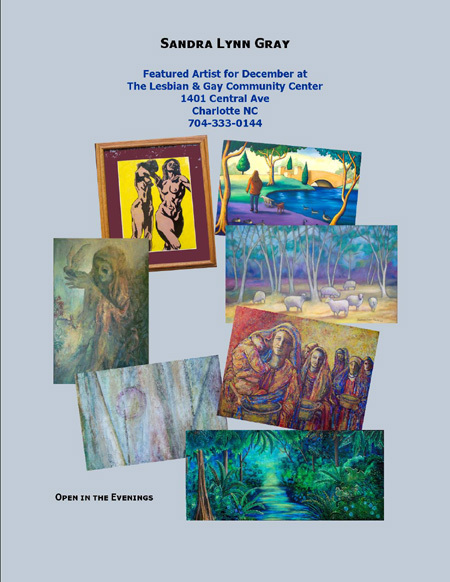 Exhibit Flyer for Lesbian and Gay Community Center Solo Show. ~ by Sandra Lynn Gray on December 14, 2007. Thanks. It has been the best experience…..makes me want to exhibit some more. Wow, thanks. What a wonderful comment. It pumps me up and motivates me.